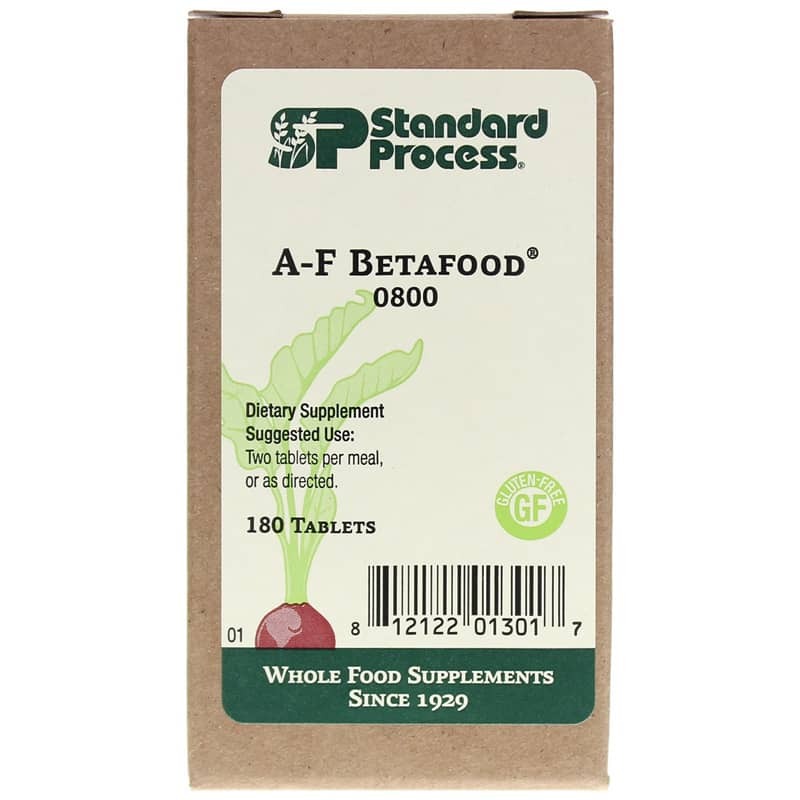 A-F Betafood by Standard Process includes an array of whole food and other ingredients, including beet juice, to support healthy fat digestion. Beet (root), carrot (root), sweet potato, oat flour, dried beet (leaf) juice, rice (bran), calcium lactate, magnesium citrate, bovine liver, nutritional yeast, bovine kidney, bovine prostate, alfalfa flour, bovine orchic extract, bovine liver fat extract, flaxseed oil extract, vitamin E (sunflower), and sunflower lecithin. 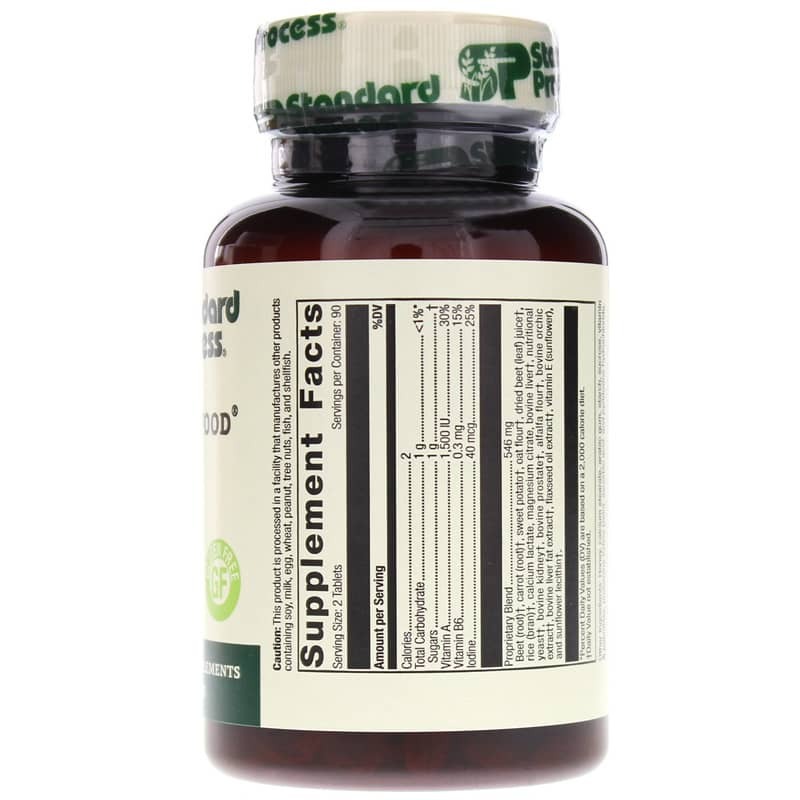 Other Ingredients: Honey, calcium stearate, arabic gum, starch, sucrose, vitamin A palmitate, prolamine iodine (zein), ascorbic acid, and pyridoxine hydrochloride. Women who are pregnant, may become pregnant, or are lactating should limit their intake of vitamin A (retinol) and use vitamin A products only as directed by a qualified health care professional. Consumption of large amounts of vitamin A (retinol) has been linked to serious health problems. Keep out of the reach of children. 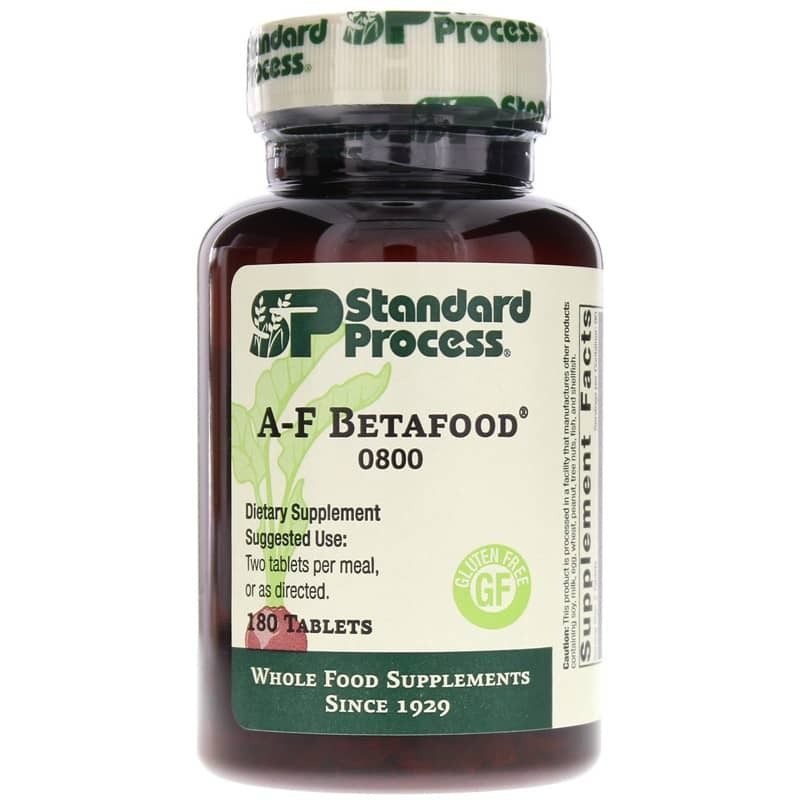 My husband & I trust A-F Betafood to maximize our efforts along with a healthy diet and exercise.